"As Reliance transitions to become a technology platform company, we see our biggest growth opportunity in creating a hybrid, online-to-offline new commerce platform," Ambani said at the RIL AGM. At Reliance Industries' 41st AGM, it became amply clear that the global e-commerce giant Amazon and retail behemoth Walmart - which is set to acquire largest homegrown e-tailer Flipkart - may not have a smooth ride in a market where they have pumped in billions of dollars. RIL Chairman Mukesh Ambani gave a peek into his long-term plans to grab a bigger piece of country's fast-growing e-commerce sector. The oil-to-telecom conglomerate wants to synergise the widespread presence of Reliance Retail's physical stores with the strengths of Jio's digital infrastructure. 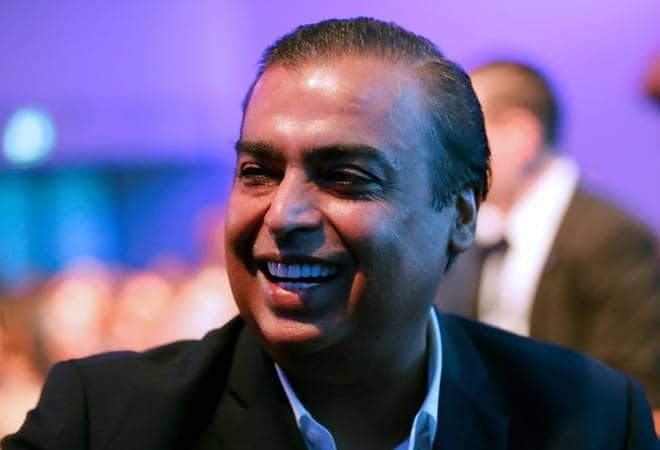 "As Reliance transitions to become a technology platform company, we see our biggest growth opportunity in creating a hybrid, online-to-offline new commerce platform," Ambani said at the shareholders' meeting. Reliance Retail, with its 7,500 stores in 4,400 cities attracting more than 350 million footfalls, is among the country's largest and fastest-growing retail companies in the country. Its revenues crossed Rs 69,000 crore, posting a growth of over 100 per cent year-on-year. Its fashion retail arm Reliance Trends and consumer electronics brand Reliance Digital are the largest in their respective categories. While the company has separate online websites for every retail vertical, what it currently lacks is a common e-commerce platform. By leveraging the inventory, supply chain, warehouses and nationwide reach of its brick-and-mortar operations, Reliance Retail is likely to have an edge in the e-commerce space. Ajio, its first pan-Indian e-commerce venture has already undergone a major marketing blitz in recent months. Reliance Retail's other online initiatives like RelianceSMART.in, RelianceDigital.in and RelianceTrends.com are yet to gain customer traction. Reliance Retail has also launched its Reconnect brand of consumer appliances and electrical goods. It also operates the largest portfolio of 41 international brands like Gas, Steve Madden, DIESEL, etc. A single e-commerce platform for all these verticals makes sense, especially at a time when the India e-commerce market is reportedly pegged to grow to $202 billion over the next 10 years. It's not for nothing that Ambani sounded sanguine about his 'New Commerce' bet. Walmart's $16 billion acquisition of Flipkart has already led to a spike in valuations of e-commerce players. "This platform has the potential to redefine retailing in India and become one of the biggest new growth engines for Reliance in the years to come... I am confident that our growth in these consumer businesses, based on asset-light platforms of the future, will be nonlinear and exponential," Ambani told the shareholders. It's not just Walmart or Amazon which need to be wary of RIL's foray into the booming e-commerce sector. Grocery start-ups like BigBasket and Grofers may also witness a new challenger in the years to come. Reliance sold over 500,000 tonnes of groceries last year. Reliance Retail, which currently runs its own online grocery delivery website, RelianceSmart.in, has hardly made its presence felt. An overhaul of its current strategy would give stiff competition to the existing players in the market. It just needs to put logistics in place, and for sourcing, it will have its own neighbourhood retail chains like Reliance Fresh and Reliance Smart, which have over 513 stores in the country. "This platform will bring together... the 35 crore and growing customer footfalls at Reliance Retail stores... the 21.5 crore and growing Jio connectivity customers. The targeted 5 crore Jio Giga-Homes; and most importantly, all the 3 crore small merchants and shop-keepers all over India who provide the last-mile physical market connectivity. Hence, we will integrate the physical and digital marketplaces in a uniquely collaborative Bharat-India Jodo enterprise," Ambani explained. He added that the new commerce platform will redefine retail in India by enabling all customers - rich or poor, whether at home or on mobile - to transition from simple shopping to personalised Immersive shopping experience. "This will be made possible by Augmented Reality, holographic technology and VR devices," Ambani said. With all this firepower, the existing e-commerce players may lose their sleep in the days to come.